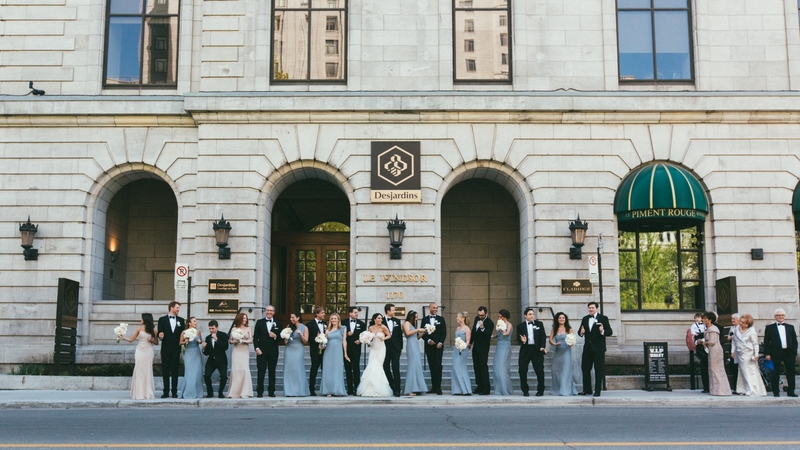 Courtney & Colin’s wedding was held at the beautiful Le Windsor, in Montreal, QC and their day was filled with love, happy tears and joyful moments. Right from the morning preps I knew this was going to be an awe-inspiring event, but I had no idea how emotional this day will turn out to be. There were lots of moving moments, from their first look to their beautiful ceremony and vows. And then the speeches came, followed by the father and daughter dance. I’m a father of 3 – two girls and a boy – and might be biased but this is the part that always gets me at weddings. Seeing Courtney dancing with her father instantly melted my heart. Btw today is Father’s Day, so Happy Father’s Day to all dads out there! 1 Comment on "Courtney and Colin / Married – Express Edit"
Superbe!!! Les larmes aux yeux!